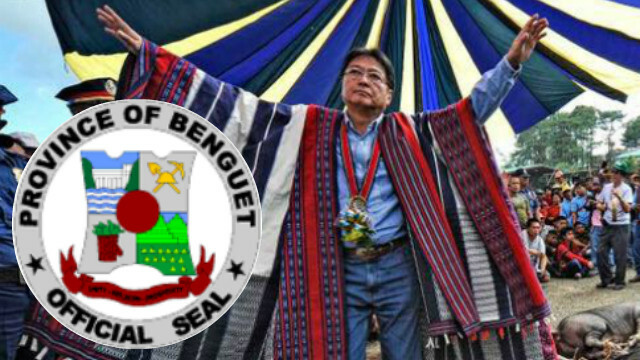 LA TRINIDAD, Benguet – President Rodrigo R. Duterte signed into law a legislation authored by Rep. Ronald M. Cosalan renaming one of the major secondary national arterial roads in the province after former Benguet politician and entrepreneur Bado Dangwa. Republic Act (RA) 11042 renamed the existing Acop-Tublay-Kapangan-Kibungan-Bakun-Sinipsip secondary national arterial road to Gov. Bado Dangwa national road in honor of the former respected political and entrepreneur who contributed in spurring the growth and development of the province during its early years. The law directed the Department of Public works and Highways (DPWH) to install the appropriate markers along the Gov. Bado Dangwa national road and issue the appropriate orders and circulars to implement the pertinent provisions of the Act. The law was signed by President Duterte on June 29, 2018 after both chambers of Congress passed similar versions of the law. Originally, the House of Representatives passed the bill of Rep. Cosalan renaming the Acop-Tublay-Kapangan-Kibungan-Bakun-Sinipsip-Buguias road to Gov. Bado Dangwa national road on January 16, 2017 before it was passed upon by the Senate on March 12, 2018. Cosalan explained that the renaming of the road to Gov. Bado Dangwa national road is in recognition of his dedicated service to the people of Benguet as a distinguished soldier during the Japanese occupation, a successful businessman, and a true public servant as shown by his stewardship of the province during the pre-martial law years as governor. Dangwa was appointed twice as the governor of the Mountain Province by President Elpidio Quirino from April 1953 and again by President Ramon Magsaysay sometime in January 1954. It was also during his term that the Amburayan Bridge in Kapangan was built in 1954 thereby providing access for his constituents to be able to transport their agricultural produce from their farms to La Trinidad or Baguio City. Cosalan expressed his gratitude to President Duterte for signing into law a long overdue legislation which was previously passed in the previous Congresses, but it was never given a chance to be enacted into law. The renaming of the road to a well-loved leader will allow the present and future generations to remember him as a well-rounded leader who was able to stir the province to greater heights. The signed law was transmitted by the office of the President to the DPWH, the provincial government of Benguet and other local governments for their information and appropriate action. The rehabilitation of the Gov. Bado Dangwa road started at the close of the term of former President and now House Speaker Gloria Macapagal-Arroyo and was pursued by the previous administration of former President Benigno Simeon C. Aquino III and is still being continued by the Duterte administration.